PO Box 641, 17 S. Main St. 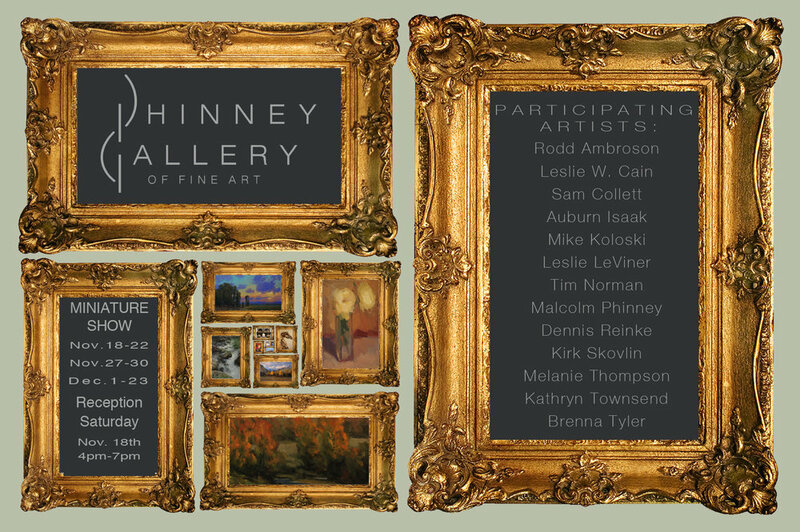 Please join us for the Phinney Gallery's first Miniature Show. There will be a number of in house artists as well as guest artists showing. An artist reception will be heldSaturday, Nov.18, 4-7 PM. All show pieces will be priced $600. or less. If you can't attend, you can still view and purchase from the show catalog on this website after the November reception. We will post the link here on November 19. We hope you won't miss seeing these small treasures and meeting these gifted artists. Gift wrapping and shipping are complementary.